Amidimaru pwns!!!!! 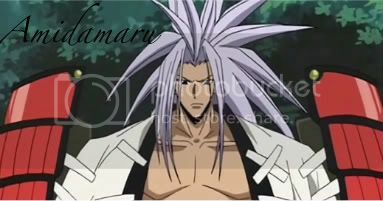 Go shaman king! I dunno right now. I am pretty sure it will have to wait until after the beginning of the shinobi war. We don't even have to wait until you get stronger. Maybe you could have some kind of personal tragedy happen to you in the middle of the war and decide that your current sensei is sub par and you want to seek out a stronger one. Well, that's okay but initially the ability will be very weak and also dependent on the throw force of the kunai. For instance, a strong person wtfthrowing the kunai at him would be able to pierce through. I haven't yet read up on it yet. Could you give me a quick summary of what he's doing? Posted, and sorry. Weekend was pretty hectic for me. It's over though, so I won't be this late again any time soon. Should be fun rping with you :). Cut me some slack though kinda new at this lol. What times are you usually on? Sure thing. kEblAdEmAstA offered to be the team sensei when we get a third genin on the team.